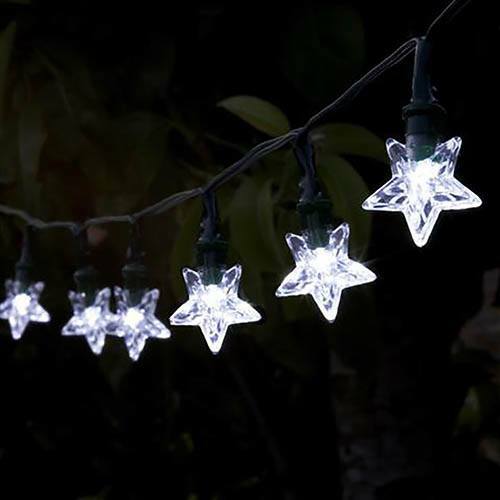 This dainty set of 30 string star lights will bring that touch of dazzle to lighten up dark areas of your garden or enhance your plants or structures. These lights automatically illuminate during darkness. All you need to do is ensure that the battery charged solar panel gets enough light during the day. This is an environmentally, no mains wiring lighting solution with no operating costs. Simple to install and enjoy.